The wider the range of possibilities we offer children, the more intense will be their motivations and the richer their experiences. The Theory of Loose Parts was developed by Simon Nicholson in 1971. Loose parts are materials that can be moved, carried, combined, redesigned, lined up, and taken apart and put back together in multiple ways. The idea of ‘loose parts’ uses materials to empower a creative imagination. The more materials and individuals involved, the more ingenuity takes place. We encourage our children to make use of all loose parts indoors and outdoors. They are incorporated in much of the children’s project work. Have no defined use and play facilitators must support the children when they decide to change the shape or use of them. Be accessible physically and stored where they can be reached by children without them having to ask for them. The children should know that they can use them whenever and however they wish. When children pick up ‘loose parts’ it can be anything they imagine it to be. This allows the children to have fun, experiment, discover, and invent new things. 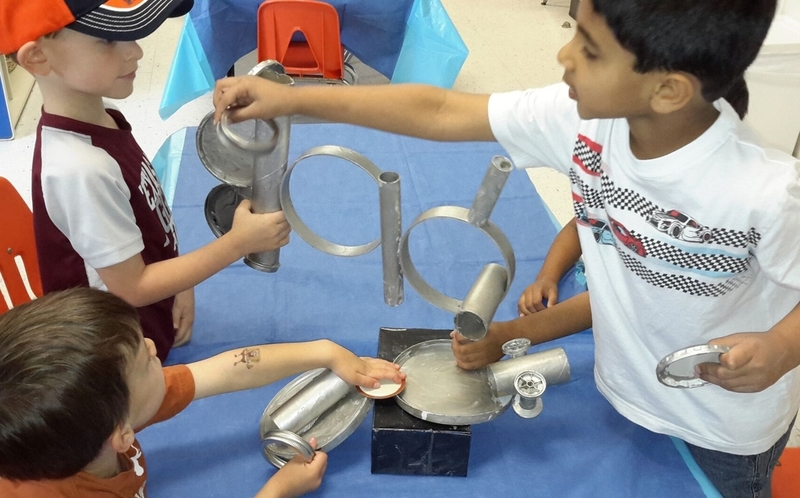 A term strongly connected to loose parts is “open-ended.” Open-ended materials, environments, and experiences encourage problem solving and are child centered. 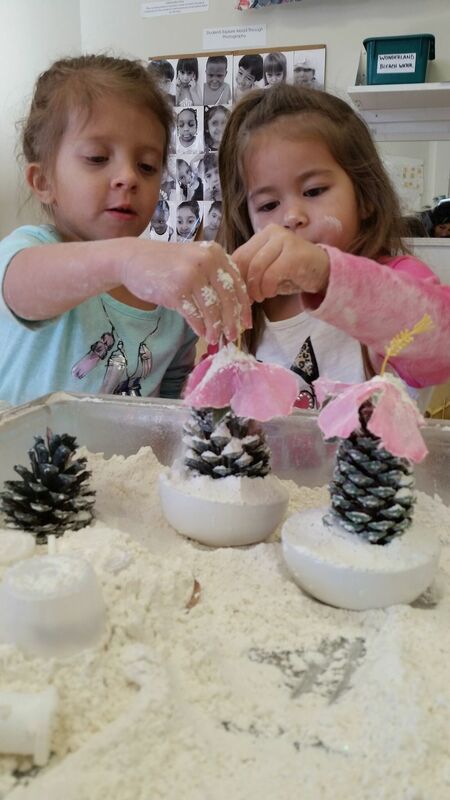 Children involve themselves in concrete experiences using loose parts, which lead to explorations that occur naturally, as opposed to adult directed. However, adults do play important, intentional roles in preparing, guiding, and documenting open-ended learning experiences. Loose parts pave the way for critical thinking. It allows the children to have their own ideas, to make things the way they decide, and to figure out for themselves how to make their idea work. Consider how often children enjoy bringing materials from one area to another and making connections, such as the child who offers a plate of rocks and grass and shares his recipe for spaghetti! Creativity is the highest form of intelligence, and we provide our students with an opportunity to work with loose parts daily, allowing our children’s creativity to flourish.